A beautiful, functional butler’s pantry. It’s a space most of us only dream of having. 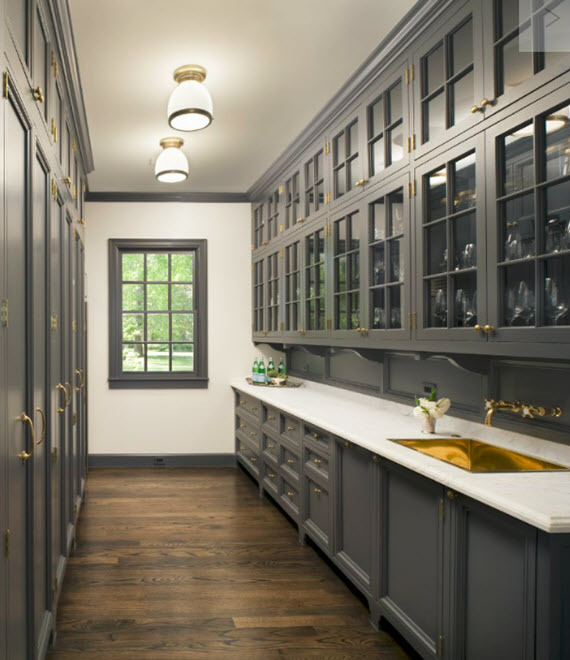 While not all homes have the space or layout for a large butler’s pantry, most kitchens can incorporate a pantry. They can be designed in a variety of ways and sizes. Some are located in a side closet and separated by a door, while others are in a hallway just off the kitchen. One of my favorite pantry style is built-in and a central part of the kitchen itself. 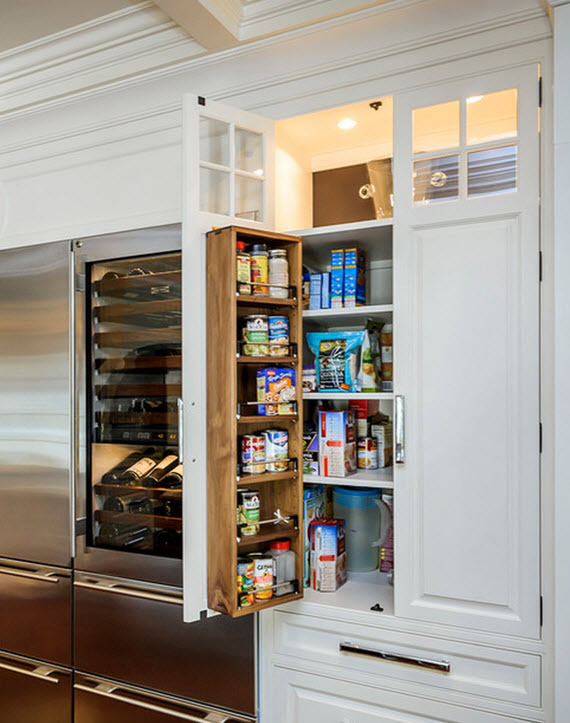 This built-in pantry by Brayer Design has the look and feel of a refrigerator. Love the racks on the cabinet door for spices and smaller items. Here is a similar pantry by Leslie Ann Abbott that is flush with the refrigeration units. The space underneath a stairwell sometimes goes unused. 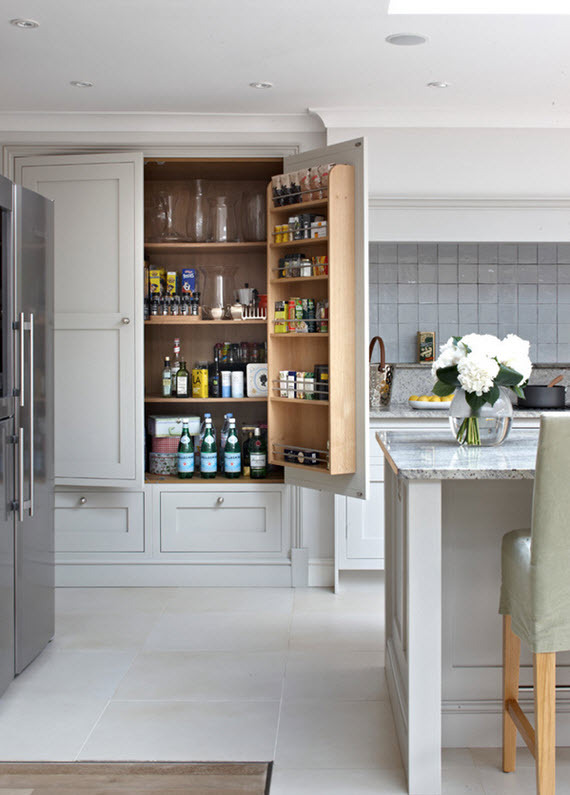 In this kitchen by Mark Williams Design Associates a clever and very stylish pantry is created giving a little more storage. 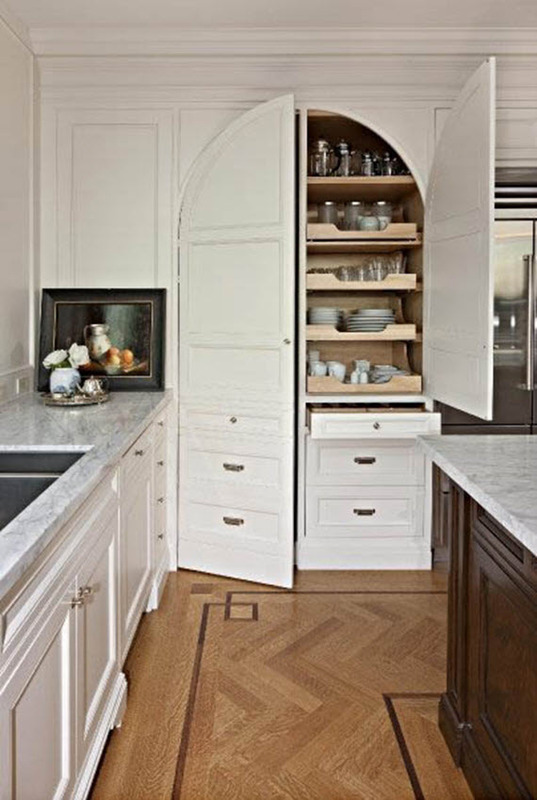 Spotted on Pinterest, I love this pantry with arched cabinetry doors. Makes a lovely architectural statement. A hallway can also be a great place for a pantry. Love this one by Karen Swanson. 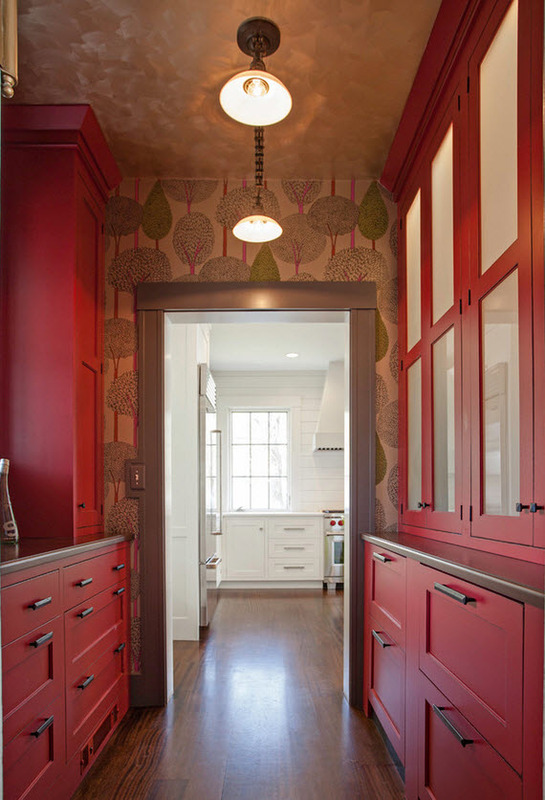 The colorful cabinetry and patterned wallpaper is so playful next to the all white kitchen. So much inspiration! Love the first image and the one under the stairs is brilliant. Hope you are well Cristin!